While I generally agree with that statement, it’s not always true. If you consider the exceptions, they don’t prove the rule. Social media networks like Twitter, Facebook, and LinkedIn are dominated by weak-tie relationships. You may have a few links to your son or daughter, mother or father, spouse or sibling. However, most of your social media links are to acquaintances, neighbors, people with whom you shared a school or employer, maybe some bands or authors or brands you like. 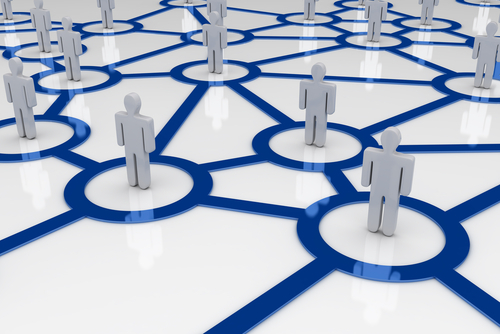 You care very deeply about a tiny minority of your links on social networks. Accordingly, you care very little about the vast majority of your links. 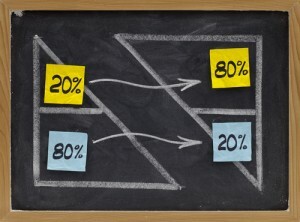 If the Pareto principle states that 80% of the effects come from 20% of the causes, the Schlosser Social Network Corollary would intensify the 80/20 Rule into something closer to the 98/2 or 99/1 Rule. Not to put too fine a point on it, but all your Facebook friends and Twitter followers could disappear overnight and you’d experience very little impact other than more time for everything else. Weak-tie relationships are great. They keep you informed about and connected to stuff you consider important – reading, politics, classmates, whatever. However, they don’t much influence your decisions. You might reach out to a particular network if you need a recommendation or a reference in cases of total ignorance – “Anyone know a good travel agent for Dalmatian Coast cruises?” – but you’re unlikely to rely on advice from your weak-tie relationships for something as important as deciding where to go on your vacation. Weak-tie relationships offer support for decisions you’ve already made. I have about 1,150 Twitter followers. On 28 October 2011, one of my tweets about reading/writing earned a “favorite” from a sorta famous author (@harkaway) who has about 5,000 followers. That caused a “re-tweet” from a really famous author (@GreatDismal) with about 62,500 followers. That caused another dozen or so RTs and links. Round numbers, I think it’s safe to assume the total exposure of my tweet was in the range of 72,500 people on Twitter that are utterly devoted to writing and reading. Sounds reasonably impressive for someone who’s not a Kardashian or a Hilton, right? Since we writers don’t do math so good, let me whip out my calculator for you. If something as cost- and effort-free as clicking on a link earns a 1% response rate, it’s safe to assume something demanding attention, money, and effort will drop that rate to about 10% of 1% … or 0.01%. This is actually more pessimistic an assumption than @speechwriterguy’s post, which is enough to make you take a long walk off a short pier if you’re planning to make a million bucks from promoting your book on Twitter. Which brings us to people who do make a million bucks selling their books. If not on Twitter and Facebook, then how? Some of them are known quantities – Stephen King, JK Rowling, Nora Robb, Robert Ludlum (who’s dead, by the way). They put out a book, and it sells – it’s got advertising, media tours, the whole kit and caboodle of publisher promotion. But what about a Dan Brown, who wrote The Da Vinci Code? He was an unknown quantity. Before The Da Vinci Code took off, describing Dan Brown as “a mid-list author” would have been an extraordinary kindness. The Da Vinci Code didn’t get much initial support from its publisher. Brown’s earlier books didn’t sell very well. Most people who care about prose agree he’s not a lyricist when it comes to putting words in any particular order. Yet Brown sold millions of copies of that book without Facebook or Twitter. 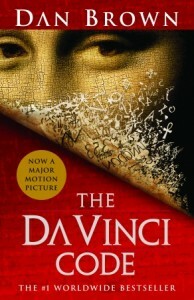 The Da Vinci Code is a compelling story, so people talked about it. They told their friends – that is, they told their friends who they knew loved to read, because they had a strong enough tie to them to know who those people were – the book was “a great read.” So their friends bought it, read it, agreed, and told their friends, who also bought it. That’s the sort of word of mouth you can’t get from a weak-tie social network. We know that’s true because weak-tie social networks really didn’t exist when The Da Vinci Code took off. It’s also an example of the power of WOM: advertising didn’t make that book, and Brown’s prior reputation didn’t make that book. People talking about that book made that book. You don’t have to reach millions to sell thousands. You only have to reach a few who love your book so much that they can’t stop themselves from telling other readers about it. Movie studios have a formula that tells them how much money they’ll earn from a movie based on how much they spend on promoting it. What they don’t know is how horribly it will tank, or how successfully it will ascend, once WOM takes over. Write a great book. Create fascinating characters that jump off the page and into the minds of readers. Place them in jeopardy so compelling that readers have no choice but to keep turning pages until they learn how the characters they care about so much that they literally inhabit them will survive. Great post. 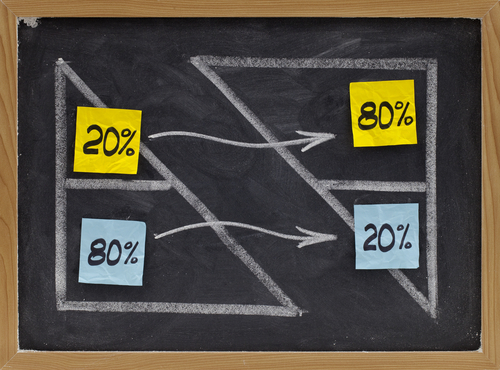 I like your math, and the Pareto Principle is seven separate flavors of awesomesauce. You can SMELL the truth in it. I have a different theory on why THE DAVINCI CODE — and other books / movies / rock stars — rise above the masses. Will post soon. Very strong argument against the current sink whole of corporate expenditure on facebook, et. al. Now if I could just get my boss to read it. I’m a child abuse attorney newly published as a romance author, and I’ve often wondered: If publishers put their promo dollars into market research–real, hard numbers research and not only focus groups and water coolers polls–how much more would they learn about what’s needed to make a good book a successful book? There’s a ton of data available, and we don’t seem to know how to analyze it profitably. Readers are not publishers’ customers. Book retailers are publishers’ customers. Publishers generally have a tragic lack of information about why people buy books, and the business model of book retailing – the returns model – creates what is IMHO an insurmountable obstacle to the economic signals that would most precisely and productively deliver than information.